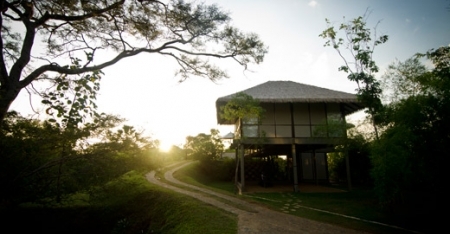 Meander along idyllic beaches and take in sweeping views of endless green tea fields. 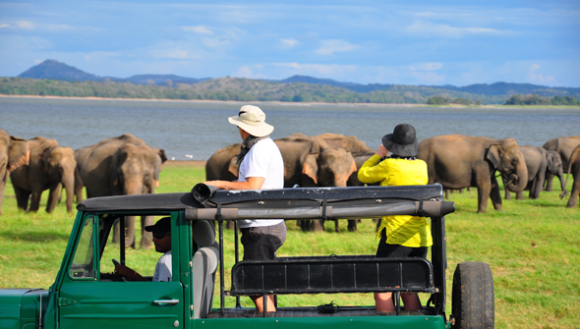 Explore ancient cities and marvel at herds of elephants on safari as you enjoy the magnificent landscapes of Sri Lanka. 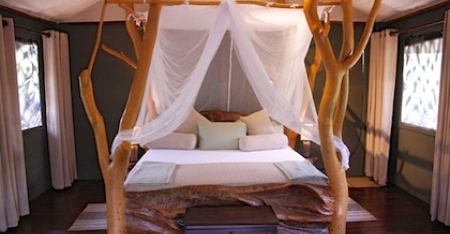 Indulge in our handpicked collection of intimate retreats, exuding atmosphere and style. 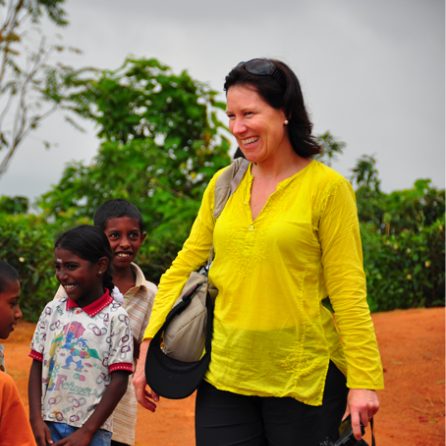 Then immerse in the culture of your surroundings as you discover ancient ruins and historic Galle Fort. Meander along by bicycle as you take in World Heritage listed ruins under the shade of sprawling trees. Excite your senses with a search for wild elephants on your private wildlife safari, then relax in your sprawling villa, retreat to the plunge pool and end the day with some delicious Sri Lankan cuisine. 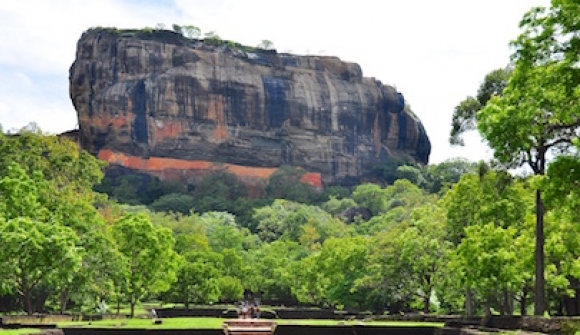 Immerse yourself in the traditions of ancient Ceylon as you discover tropical gardens and royal bathing ponds on the journey to Sigiriya Rock. Explore the ruins and frescoes of the old royal palace and marvel at the uninterrupted views below. Enjoy the fabulous views of the southern Sri Lankan coast, with swaying coconut trees and crumbling colonial architecture. Make your way by bicycle along scenic backroads then round out this magical experience with lunch at a private villa followed by sunset cocktails at the beach. With the exclusive Amangalla hotel as your home, walk into living history as you explore UNESCO World Heritage listed Galle Fort. 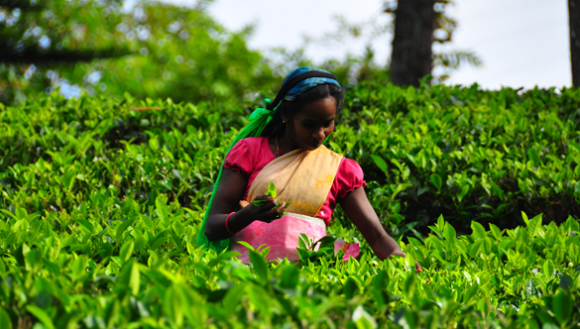 Discover the rolling hills and lush fields of tea country. Colourfully clad tea pluckers and classic colonial bungalows paint a scenic picture as you enjoy a gentle trek to one of our intimate retreats. Relax and indulge in seasonally inspired dishes from our executive chef at the end of each day. Arrive at Bandaranaike International Airport and transfer to your luxurious private hideaway for the night, The Wallawwa. Atmospheric and secluded with world-class dining and warm Sri Lankan hospitality, The Wallawwa provides the perfect introduction to Sri Lanka. After a leisurely breakfast, relax and explore on your own. In the afternoon you visit one of Sri Lanka’s UNESCO World Heritage listed ancient cities, Anuradhapura. Cycling under the dappled shade of trees, you set out to explore this sprawling complex of enormous dagobas, ancient pools and temples before returning to Ulagalla in time for a swim before dinner. 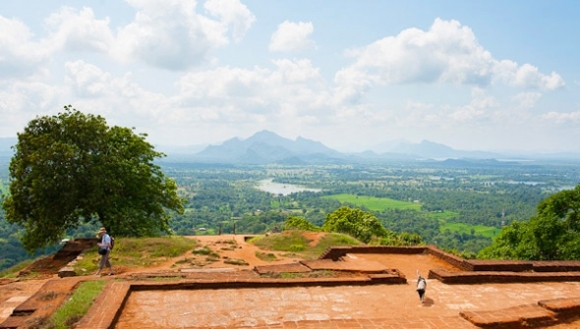 Today you climb the ancient Sigiriya rock. Break halfway up in a sheltered gallery containing exquisite ancient frescoes, then clamber to the spacious summit where you’ll be rewarded with stunning views of the central plains. 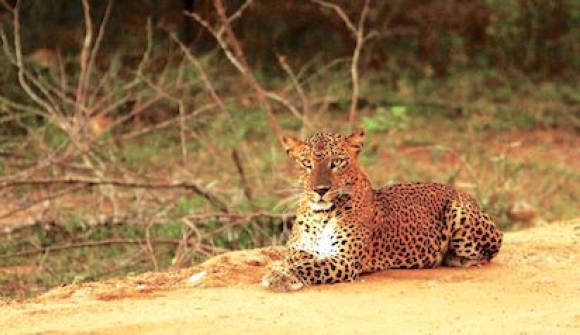 After lunch Minneriya National Park awaits as you take safari jeeps in search of elephants and spectacular wildlife. Today you head into the hill country - a region famous for its stunningly lush, green landscapes and cool mountain air - and arrive at Sri Lanka’s spiritual and cultural heart, Kandy. Join Buddhist pilgrims visiting the 16th century Temple of the Sacred Tooth Relic, before exploring beautiful Kandy town on foot. 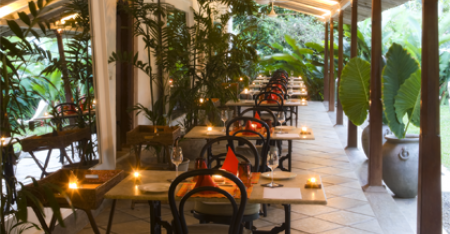 In the evening, retire to The Kandy House for an alfresco dinner. After breakfast in the lush tropical gardens of The Kandy House, you visit the Kandy Garrison Cemetery for a fascinating look into Kandy’s British colonial history. 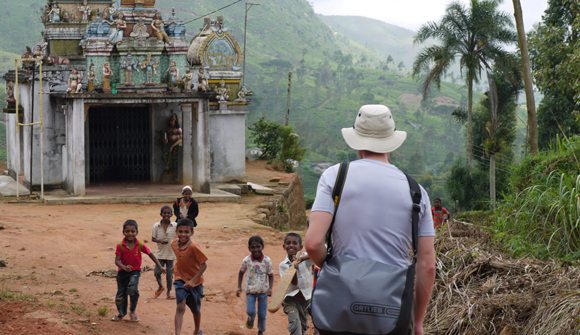 After sampling some of the hill country’s famous tea you explore beautiful Kandy town on foot. 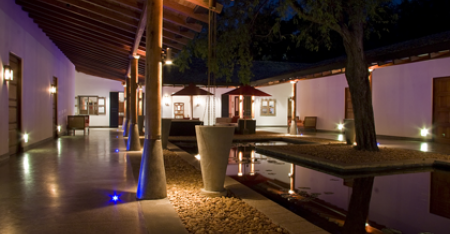 Retreat to The Kandy House, take a swim in the infinity pool and enjoy a gourmet dinner. 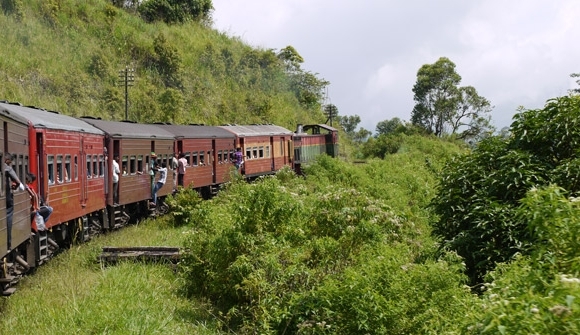 Today you transfer by train to Ceylon Tea Trails – your gateway to the heart of Sri Lanka’s tea country. Spotting colourfully clad tea pluckers from the train, you arrive in the Bogawantalawa Valley to enjoy a three-course lunch. Relax or explore the surrounding plantations, then indulge in a classic colonial bungalow, originally built in the days of the Raj. 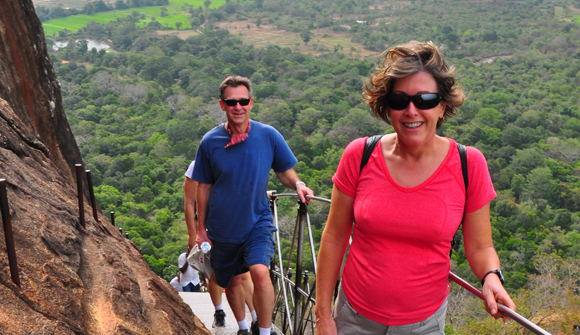 Depending on the season, rise early to join pilgrims on their journey to the sacred Adam’s Peak at 2,243 metres. With regular breaks along the way, you arrive at the summit for sunrise, where you toll the bell to signify the completion of your pilgrimage and take in sweeping views across Sri Lanka’s hill country. Back at your bungalow enjoy a late breakfast and a well deserved rest. Today you head to Norwood tea factory to learn the art of making tea and sample some of Sri Lanka’s most exquisite teas. Experience the rhythm of tea country life in the Bogawantalawa Valley, passing lush, green tea plantations and groups of tea pluckers in colourful saris before arriving at your beautifully restored luxury bungalow for the night. This morning it is an early start as you leave your luxury bungalow and head for Sri Lanka’s premier wildlife reserve, Yala National Park. Head off in the late afternoon in an open top jeep in search of the amazing wildlife of this area, spotting for birds, the rare Sri Lankan leopard, bears, elephants, crocodiles, turtles and water buffalo. In the evening, enjoy drinks at the jungle bar and dinner under the stars. Today, continue your search for more of the incredible wildlife that inhabits this area. In the company of a resident game expert, savour the early morning ambience of the park as you search for peacocks, leopards, sloth bears, colourful painted storks, elephants, crocodiles and monkeys. 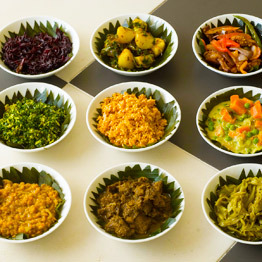 Back at the campsite, enjoy a traditional Sri Lankan breakfast, rest and relax before you head out again in the mid afternoon to see what else you can find. 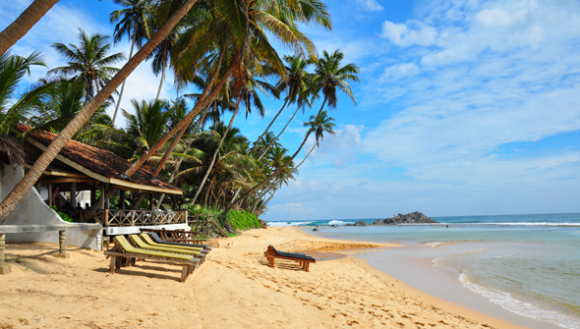 After breakfast, you head for the south coast and the 400-year-old Galle Fort. Passing beautiful coconut-fringed beaches, radiant green rice paddies, and crumbling Dutch colonial architecture, you arrive in the late afternoon at Amangalla, one of Sri Lanka’s most historic and opulent hotels. 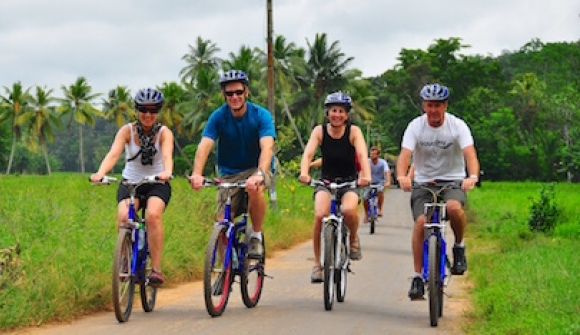 Your cycling discovery of Sri Lanka’s south coast begins today at Koggala, a quiet seaside town. Taking rural backroads you pass villages, coconut groves and temples before arriving at a stylish boutique hotel located on a 10-acre working tea estate. 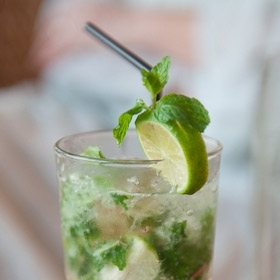 After lunch, you return to Galle and enjoy sunset cocktails at the beach club bar. 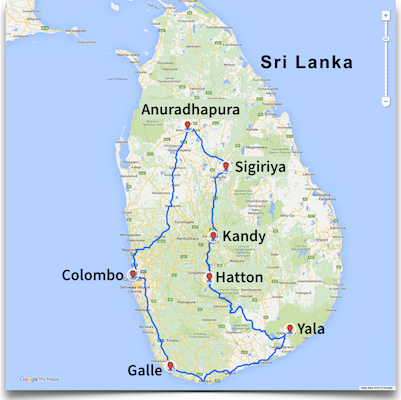 This morning you leave the south coast bound for Colombo. Passing by a string of beach towns you arrive in Sri Lanka’s capital. Enjoy sunset drinks overlooking the Indian Ocean at the Galle Face Hotel – the 145 year old grande dame of Colombo. Tonight celebrate an unforgettable experience with dinner at one of our favourite Colombo restaurants. 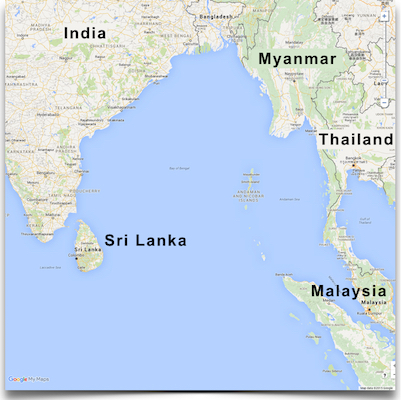 Today you begin your discovery of Colombo. 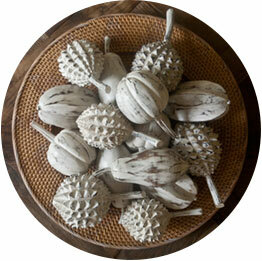 Visit Sri Lanka’s best textile, homeware and design shops and contemporary art galleries. Take time to visit the National Museum, bustling bazaar district and the famous Sinhalese Sports Club before your private luxury transfer returns you to the airport for your flight home. 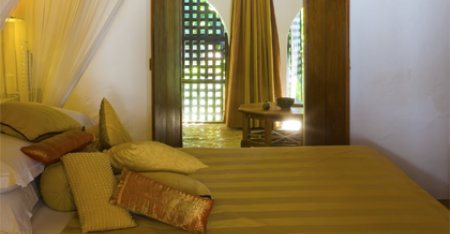 Your hotel in Negombo is an antique manor house surrounded by acres of tropical gardens, dating back to the 18th century. 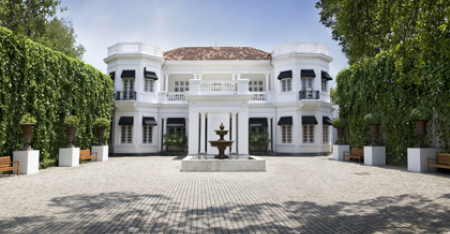 The property is now home to one of Sri Lanka’s most exciting boutique hotels. Atmospheric and secluded with world-class dining and warm Sri Lankan hospitality, The Wallawwa provides the perfect introduction to Sri Lanka. 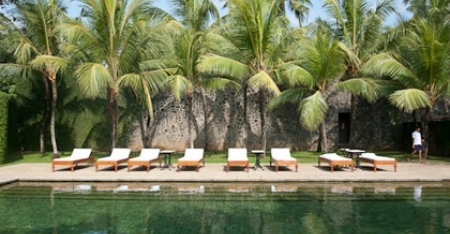 In the ancient cities you stay at Ulagalla Resort. 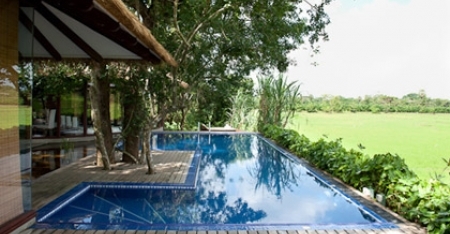 In close proximity to Sigiriya Rock, Ulagalla Resort is surrounded by acres of wetlands and paddy fields, providing a habitat for many species of birds and animals. 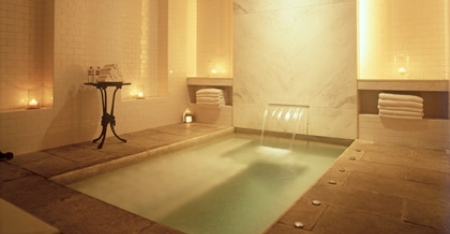 With stylish dwellings complete with plunge pools spread throughout the property, this hotel offers outstanding luxury and world-class Ayurvedic spa facilities. 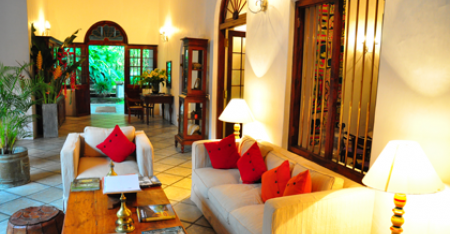 Located just outside Kandy in a quiet village area surrounded by rice terraces, this restored manor house was once the grand ancestral home of a local Kandayan chief. With acres of tropical gardens and a freshwater infinity pool fringed by palm trees, The Kandy House is a haven for relaxation. 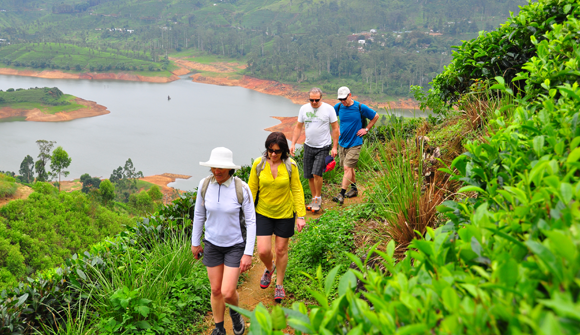 On your trek through Sri Lanka’s tea country, you stay at Ceylon Tea Trails. 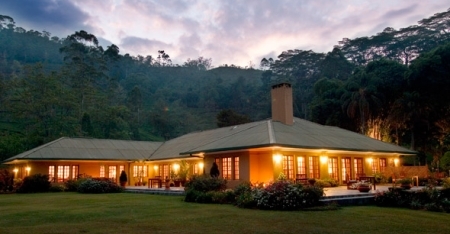 Spread throughout the Bogawantalawa Valley are four classic colonial bungalows. Each sprawling bungalow has its own unique style. 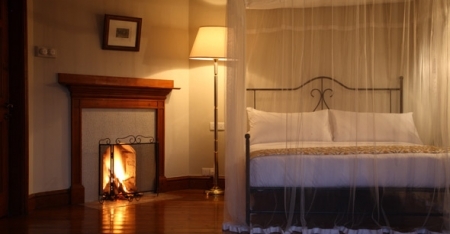 Surrounded by beautifully manicured gardens each bungalow features open fireplaces, lavish bathrooms and indulgent furnishings. Traditional high teas and fine dining round out the perfect tea country experience. The Yala campsite is situated in a picturesque location chosen for its natural beauty and conveniently shaded areas of forest. 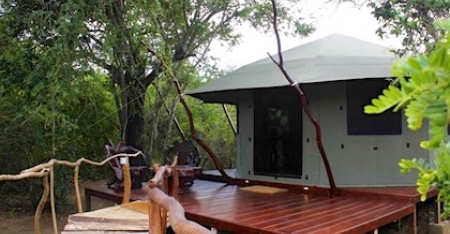 Luxury lodge tents featuring stylish wood furniture, Sri Lankan antiques, air-conditioning and a state of the art bathroom, coupled with a private access path and spacious deck area make your wild experience feel luxurious and exclusive. 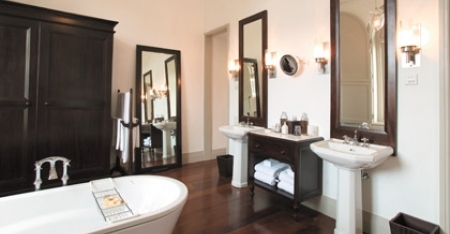 In Galle you stay at the exclusive Amangalla. Located within the walls of Galle Fort, this historic hotel has been sensitively restored and offers superb cuisine and exceptional service. 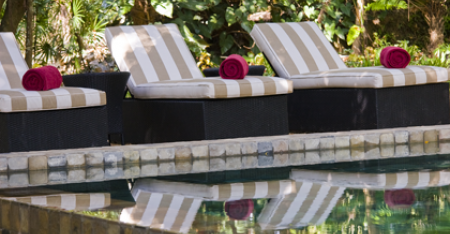 Retreat at the end of the day to the stunning spa, swimming pool and 200-year-old frangipani filled gardens. 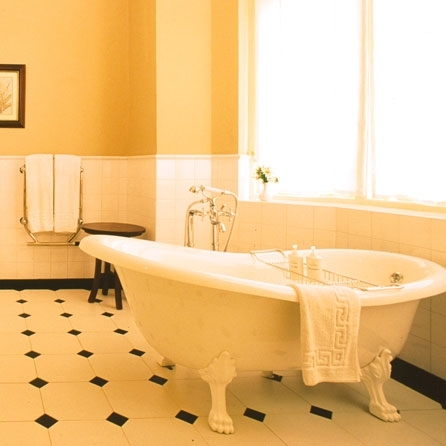 An exemplary colonial hotel experience. 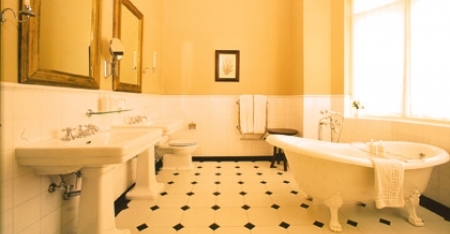 In Colombo you stay at the Tintagel, located in one of Colombo’s most elite neighbourhoods. 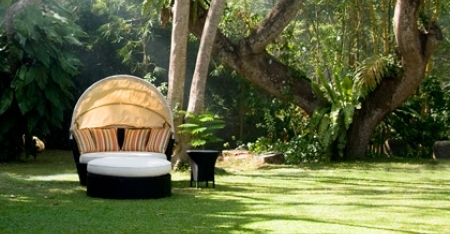 This private hotel has been uniquely restored by one of Sri Lanka’s most renowned designers. 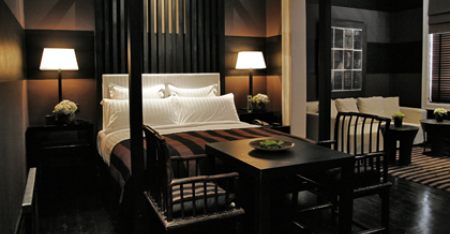 With beautifully furnished suites and a garden courtyard, this stylish hotel offers the perfect base to explore Colombo. of its famous herds of elephants.